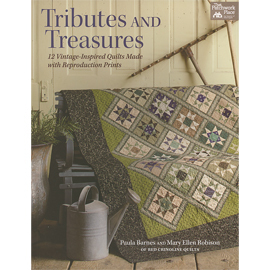 Tributes and Treasures by Paula Barnes and Mary Ellen rovison of Red Crinoline Quilts. 12 Vintage-Inspired Quilts made with Reproduction Cottons. All favorites of Paula and Mary Ellen.